On the water, trash can quickly become marine debris. Marine debris is any manufactured item that ends up as trash in oceans, lakes, or inland waterways. 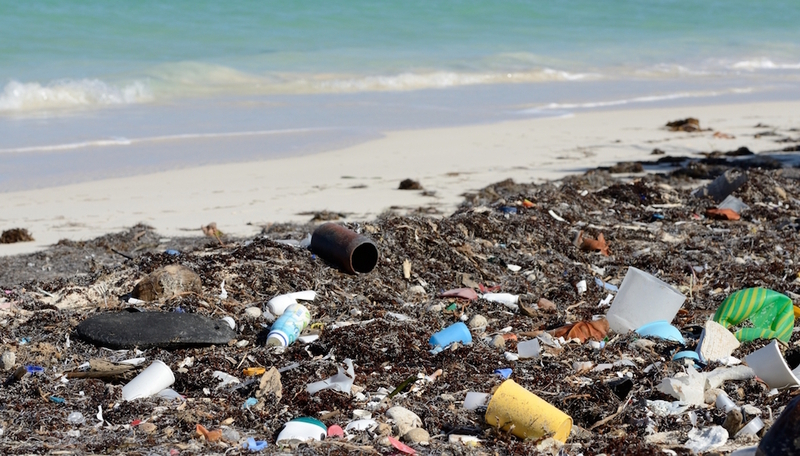 More than an eyesore, trash in the ocean is one of the world’s most pervasive pollution problems. It sickens and kills marine animals and birds. It also undermines economies based on tourism and fisheries. While as much as 80 percent of marine debris is said to come from land-based activities, boaters need to do their part to keep the water clean. Under federal law, it is illegal to toss ANY garbage from a boat while in lakes, rivers, bays, sounds, and offshore in the ocean less than 3 miles off shore. Recent changes to MARPOL (marine pollution guidelines) Annex V went into effect on January 1, 2013. 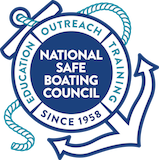 All U.S. boats (commercial and recreational) must now comply with these changes. It is illegal to dump plastic, rags, glass, food, metal, crockery, dunnage, lining and packaging, materials that float, fishing gear, synthetic ropes, and paper. It is illegal to dump plastic, rags, glass, metal, crockery, dunnage, lining and packaging, materials that float, fishing gear, synthetic ropes, and paper. Food may be dumped if it is ground enough to pass through a mesh screen. Boats inside Special Areas are not allowed to dump food. It is illegal to dump plastic, rags, glass, metal, crockery, dunnage, lining and packaging, materials that float, fishing gear, synthetic ropes, and paper. Food may be dumped (remember, no packaging). Boats inside Special Areas are not allowed to dump food unless it is ground enough to pass through a mesh screen. Additionally, all boats 26 feet or more in length must have a written garbage placard and an oil discharge placard “prominently posted” to remind everyone on board what can be thrown overboard and what can’t. The placards must be permanently attached, be made of durable material, and must be at least 5 x 9 inches in size. Until U.S. regulations are updated to reflect the new garbage discharge requirements and placards are readily available, U.S. flagged ships operating exclusively in U.S. waters may continue to use existing placards. Placards can be found at local boating retail store. Violations may result in civil penalties up to $25,000, a fine of up to $250,000 for an individual or up to $500,000 for an organization and/or a prison sentence of up to 6 years. State anti-littering laws may also apply on boating waters. Boats 40 feet and longer must also have a written waste management plan, stating how to deal with the collected waste onboard, who handles it, and where it is disposed. This can be as short as one paragraph. Please note that this law only covers garbage, and does not cover sewage (black water) or sink or shower water (grey water).